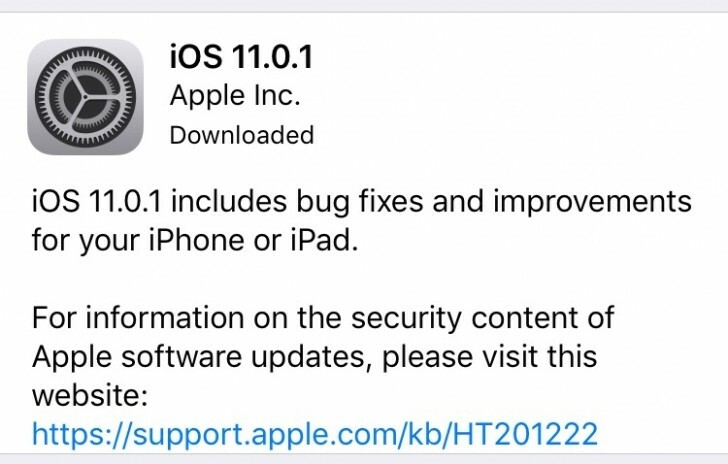 Just a week after release, iOS 11 is getting a minor point update in the form of iOS 11.0.1. The update is about 280MB in size and is now available to all compatible iPhone, iPad and iPod touch models. Being a point update, this will only really include bug fixes, security patches and minor performance improvements to the initial release, based on the feedback. Apple's update log also pretty much says the same, with no additional information on what exactly has been fixed or improved. If you are running iOS 11 or had not updated until now, this would be a good time to update. Apple iMac its really good i will also buy this .